Hi Everyone, today, I’m featuring a guest post from my friend Cat who is launching an awesome product for those of you who are interested in a career in freelance writing for full time or part time income. I’m all about side hustles and extra income and love Cat, so I hope this is helpful! This post is a part of the Get Paid to Write for Blogs Course Launch! 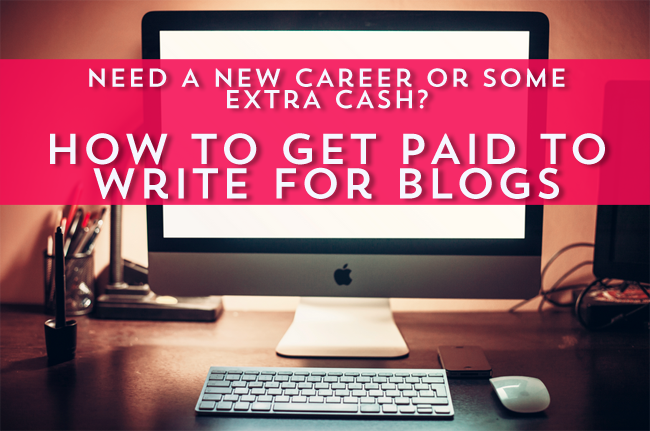 Get Paid to Write for Blogs is a brand new course created by Cat Alford of Budget Blonde. Cat makes a full time income from writing for blogs, and this course will teach you how to do the same. When I first started my personal blog in December 2013 I had absolutely no intentions of ever writing for anyone else’s site via a free guest post, let along getting paid to write for blogs. 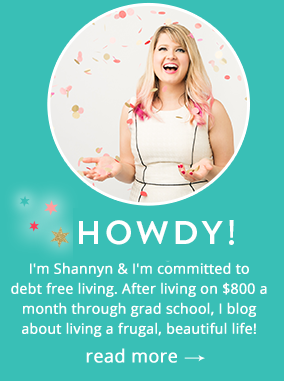 My blog was set up for the sole purpose of keeping me accountable to my goals of getting out of debt and de-cluttering my life in the pursuit of minimalism. Since then my blog has slowly transformed to be so much more than that. Today, my blog helps me earn a little extra income each month and it’s also serves as a portfolio of my writing for potential clients to view before they decide if they want to hire me to write for or manage their blogs and websites too. Taking the leap into getting paid to write for blogs taught me that there is a definite difference between blogging for yourself and freelance blogging for others. Here are 3 things you need to know about blogging for yourself vs. getting paid to write for blogs. I tend to favor freelance writing jobs that allow me to still use my personality and draw from my personal experiences in my writing. They fit my style the best and are more within my comfort zone of writing. But there are also freelance clients who insist their freelance writers use more of an authoritative style of writing. They don’t like personal stories to appear within their posts. These are usually more corporate clients. Although this may be a tougher style of writing for some freelancers to adopt, that doesn’t mean they can’t still draw from their personal knowledge or situations to come up with blog topics. Instead of changing the message they want to deliver to readers, they need to change the delivery by using sources to back up your message. On my personal blog, I try to maintain a regular posting schedule of Monday, Wednesday, Friday. As most blog owners know, this tends to increase traffic as readers get used to coming to your site on certain days of the week each week to get updates from you and see what you have to say. But the nice thing about blogging for yourself is that if you don’t feel particularly motivated to write, or if you have a lot going on in your life outside of the blogging world, you don’t HAVE to put up a new post on your blog every other day. But when you begin to work as a freelancer writer for other people’s blogs, things change. Bloggers usually hire writers to help them generate content to keep their site traffic up so they can continue to earn money from their site. They also hire writers to help them get a “break” from one of the duties on their plate so they can focus on other aspects of running their business. Because of the nature of getting paid to write for other bloggers, you have to be able to stick to your deadlines. When you write only for yourself and your own blog, you are in charge of what you write about for each post. You never have to worry about censorship or who owns the rights to your writing, because the answer is always that you are in control of your own writing. Once you start writing for others you lose some of those rights. Ideal freelance writing clients may still give you a pretty long leash to write about what you want, but ultimately it has to fit in with the expectations they have for their website and their vision for their business. Additionally, they own the rights to your writing if it ever questioned for authenticity or for a better reason, like being published on a larger site, like the Huffington Post. The differences between writing for yourself and getting paid to write for blogs can be quite a bit to learn at first. But if you take a course and learn from an experienced freelance blogger, you can avoid a lot of the mistakes that rookie freelance blog writers often make early on in their careers. Can you think of any other differences between writing for yourself vs. getting paid to write for blogs? Did you have to learn any of these lessons the hard way?